If the steep growth in Mexico’s vehicle production is impressive then, in the words of the 1970’s rock classic, ‘you ain’t seen nothing yet’. Five all-new plants have been announced which will have output on top of surging production from existing investment. Just three examples of what is already scheduled to come on stream: Kia’s Nuevo Leon plant will open in May 2016; Nissan’s Infiniti will go into production in 2017; and Mercedes-Benz will build passenger cars in Mexico by 2018, along with Nissan at their joint Aguascalientes facility. Meanwhile, however, the supply chain and logistics show plenty of red flags. “How can a country that will produce 4.6m vehicles annually lack specialised automotive terminals?” asks Roberto Zavala, head of Mexico for Wallenius Wilhelmsen Logistics, commenting on the limitations of the critical port of Veracruz for short-sea traffic to the US. The challenge of creating a world-class supply chain to go with Mexico’s world class automotive investment boom is at the heart of the second Automotive Logistics Mexico conference. 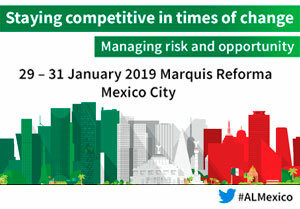 The first, in January 2015, saw speakers including senior political figures like federal government Secretary of the Economy, Ildefonso Guajardo, and US Ambassador to Mexico Earl Wayne. They engaged alongside heads of OEMs and Tier 1s like the president & CEO of Ford Mexico, Gabriel Lopez, and the president of Delphi Mexico, Hector Gutierrez. Direct OEM operational executives present at the 2015 event included Ford’s MP&L director Rafael Lopez, Nissan North America’s director of logistics and purchasing Chris Styles, and GM’s director of North American vehicle logistics Bryan Burkhardt along with GM Mexico’s purchasing director Raymundo Garza. Similar managers from Tier suppliers included Robert Ryan, director of supply chain for the Mexico region for Cummins, and John Godfrey, director of logistics for Pirelli Tires North America. They came together to share, to gain intelligence and to seek solutions. “You will learn about what’s happening in the industry,” said Toyota’s transportation and customs manager Karen Olveda after the 2015 conference. “Excellent experience and incredible logistics networking,” added Oscar Garcia, supply chain manager for tier supplier HUF de Mexico. This year’s event features a cocktail reception on the evening before the conference for all delegates and two days of intense discussions over lunch, coffee breaks and a mid-conference gala dinner. There will be presentations and Q&As with senior speakers and panelists, interactive voting, video and online comments via the conference’s Live service, LSPs displaying their experience and capabilities, and the benefit of downloading speaker presentations after the event to share within your organisation. All as part of a single, all-inclusive delegate fee. “Fabulous quality and professionalism,” said castings supplier Hitchiner’s Alan Rodriguez. “Totally recommended; it’s an event you shouldn’t miss,” concluded Rolando Chio, logistics and materials manager for Rassini Suspensions. Both were commenting on the 2015 conference. Mexico is launching the next phase of its automotive growth and needs logistics to match it. Register here to join your customers, suppliers and competitors for the country’s most important automotive supply chain event of 2016. The conference is part of the worldwide Automotive Logistics series, which in 2015 includes Europe, China, Russia, Global (Detroit), UK, South America and India. In addition in North America there is a dedicated inbound conference, The Supply Chain Conference, and two dedicated outbound conferences; Finished Vehicle Logistics North America in California and Finished Vehicle Logistics Import-Export in Baltimore. The USMCOC is proud partner of this extraordinary event. USMCOC members have a special discount. Please contact gabriela.kenny@usmcoc.org for additional information.